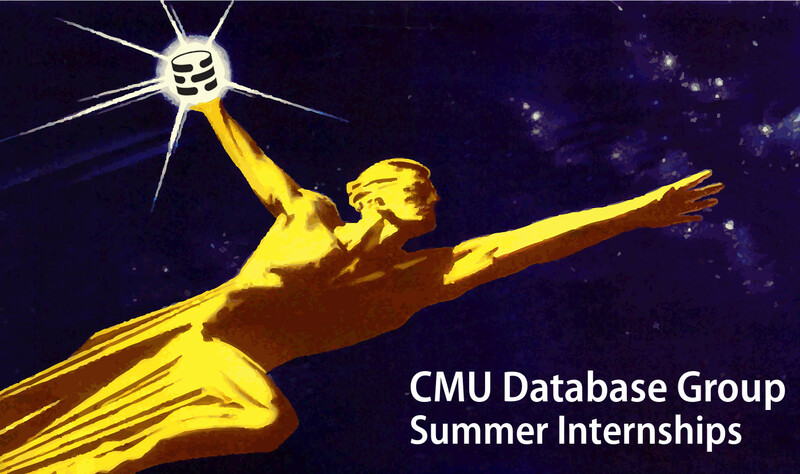 The Carnegie Mellon Database Group is offering multiple internship positions for a special summer research project at its Pittsburgh, Pennsylvania campus. It will be an intense 12-week internship from June to August 2015. The project will be to develop a new open-source distributed main-memory database system from scratch. Thus, we are looking for candidates that have strong C/C++ and SQL programming skills. Interns will be paid a three-month summer salary (commensurate with skills and experience) and the cost of travel expenses. We especially encourage students who are interested in pursuing PhD-level database research in the near future to apply. The application deadline is February 1st, 2015.